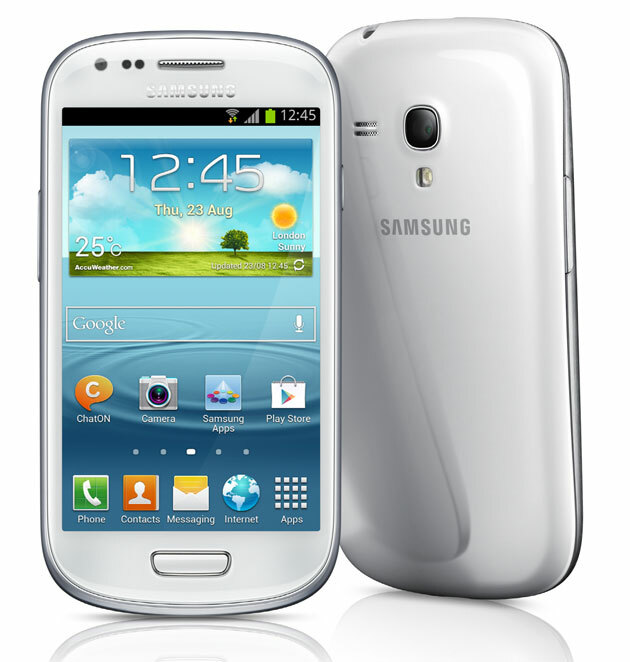 TNI Bureau: The Samsung Galaxy S III mini is a compact version of the flagship Smartphone Galaxy S III. The device features a 4-inch screen and runs Android 4.1 Jelly Bean and powered by a dual-core 1GHz processor a 1500 mAh battery and features a 5-megapixel camera and 8/16GB internal storage options. The Galaxy S III mini is equipped with features like S Voice, Samsung’s natural language recognition software, Smart Stay, Direct Call and S Beam. S Voice. The device also comes with Smart Stay, wherein the phone’s camera tracks your eyes and keeps the screen lit as long as you are looking at it. The Direct Call feature enables you to automatically dial a call simply by lifting the phone to your ear when reading a text message from a friend and another feature, the Smart Alert alerts you to missed calls or messages as soon as you pick up your phone. The S Beam feature lets you share a 10MB music file in just two seconds by simply tapping on another S Beam-enabled device including Galaxy S III or Galaxy Note II, even without a Wi-Fi or cellular signal. The ‘Buddy photo share’ function allows photos to be simultaneously shared with all your friends pictured in an image directly from the camera or the photo gallery. So far there’s no official announcement regarding price and availability of the Galaxy S III mini. Additional Features: Game/Video/ Readers/Music Hub, Kies, KiesAir, FM Radio (RDS), TouchWiz, Google Mobile Services, Google Search, Google Maps, Gmail, Google Latitude, Google Play Store, Google Play Books, Google Play Movies, Google Plus, YouTube, Google Talk,Google Places, Google Navigation, Google Downloads.